I recently received my biggest cookie order to date. 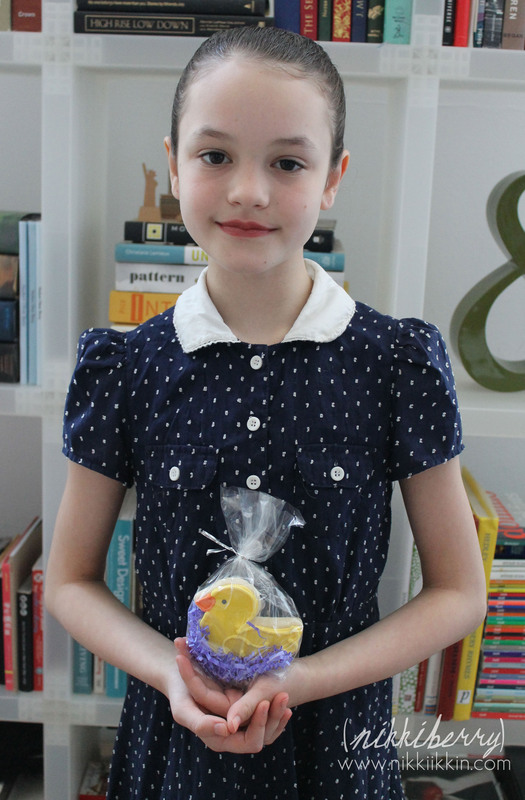 I made 100 cookies for Joffrey Ballet School for their gifts to the dancers after the spring recital. 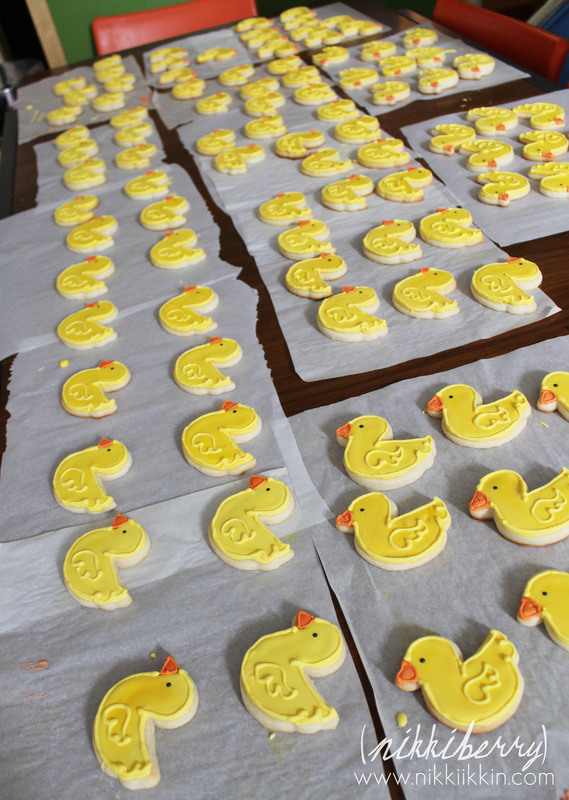 I would have never guessed that sourcing a duck cookie cutter would be hard in NYC. 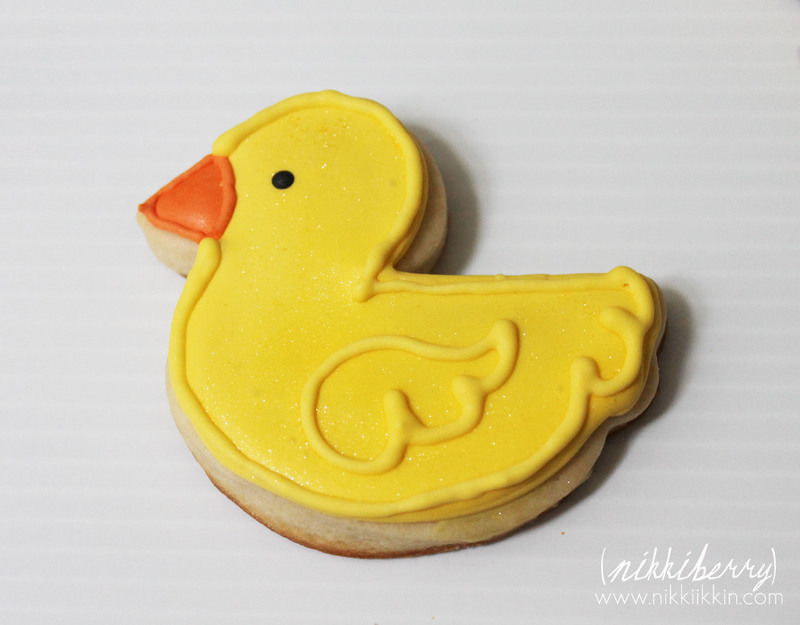 But I went to more than 6 bakery, party or home goods stores (by foot and train) to locate a simple duck cookie that I know existed online but I didn’t have time to have shipped on short notice. I finally found a suitable cutter, not the one I really wanted but it worked out fine, more than fine the ducks looked great! I really enjoyed making this large order of cookies, its seems like it doesn’t matter if its 10 cookies or 100 cookies, once you get all the ingredients out, the oven is hot and you have taken the kitchen over anyway, might as well make 100 cookies! Its think that 100 cookies might be all the space my kitchen has for each round, it’s a good thing my table is an expandable. 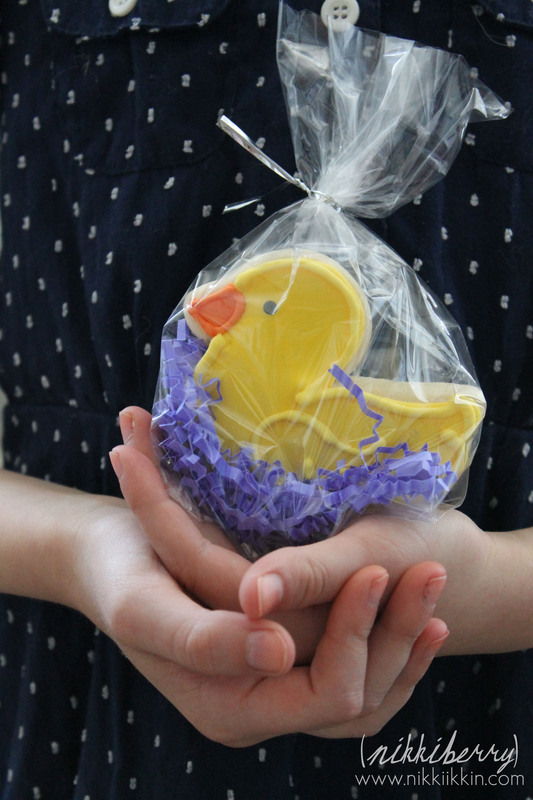 After piping I added a quick brush of luster dust for sparkle and each duck was package in a favor bag with blue crinkle gift filler. 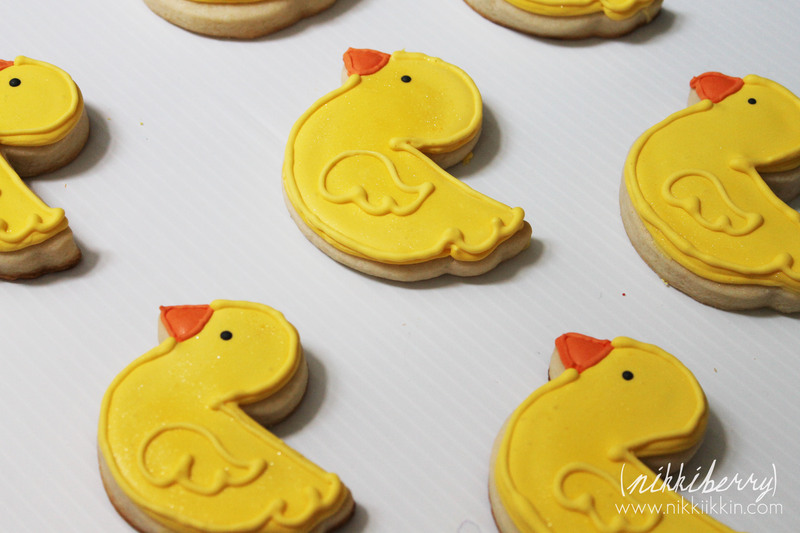 Of course all the girls loved them, they were delicious & fresh, (baked just 2 days before the recital), as well as cute. And best of all Macy was proud to let everyone know that her mom had made them.